Crescent Design and Construction has been a family owned business based out of Oak Hill, Virginia providing services to all of the surrounding areas for over 20 years now. It is our number one priority to achieve customer satisfaction and to build a long lasting relationship. We want to be the company you trust to call for your epoxy coating needs to building your outdoor patio. We love adding new customers to the Crescent family! We come with references and all required licensing. 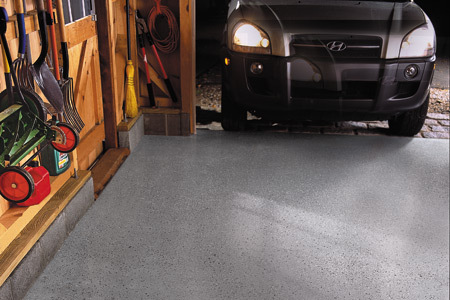 At Crescent Design and Construction only use top of the line products and equipment to apply an epoxy coating to your garage floor and any other floor on your property where you may need it. 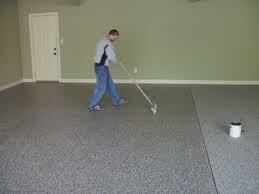 The epoxy coating is basically a layer of protection for your floor that resists all types of liquid and debris. Epoxy coatings also protect your flooring from dirt, oil and other elements that could potentially stain your flooring. This epoxy coating also makes your garage floor a desirable place to walk in, which is nice with how often garages are used these days; we use them as the entrance and exit of our homes, a place to do laundry, pack stuff away, store sports equipment, and where our children can happily practice they’re instruments! What’s even better is the epoxy coating will cover up any current damage on your floor, making it look completely remodeled! You can also choose from a wide range of colors and materials. You WILL be impressed and we do offer a warranty! Feel free to also ask about other services we offer at Crescent Design and Construction: In ground pool construction, pool decks, pool lighting, pool waterfalls, pool bars, pool grottos, above ground pools, walkways, floor resurfacing, floor polishing, landscaping, retaining walls, garden walls, garden patios, patio heaters, outdoor fire places, outdoor kitchens, and outdoor living rooms…just to name a few. If you need something done on the outside of your home or in your yard, we can do it!